There are no roads to Tortuguero village. 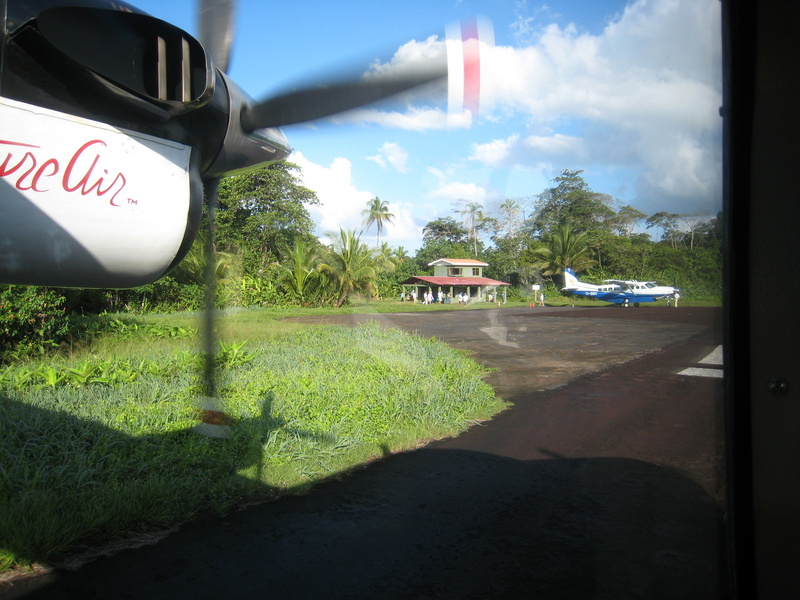 Visitors arrive by plane at the airstrip north of town or by small boat (see details on all four boat routes to Tortuguero). Beautiful tropical beaches stretch for miles both north and south from Tortuguero but the waves, undertow and rip currents are violent and powerful. It’s an amazing place for beach combing, wildlife spotting in the trees along the shore or enjoying a picnic under the palms, but swimming is dangerous. The turtles that nest here can handle it with ease but unless you can swim and hold your breath like one it’s a good idea to stay clear of the surf. Of course it should come as no surprise that somewhere this isolated and without a swimming beach doesn’t have any big international resorts. Many of the lodges are “all-inclusive” after a fashion with transportation, lodging, food and sometimes even alcoholic beverages and tours for one fixed price, but you’d never confuse them with a luxury resort.